Match two works by the same street artist. 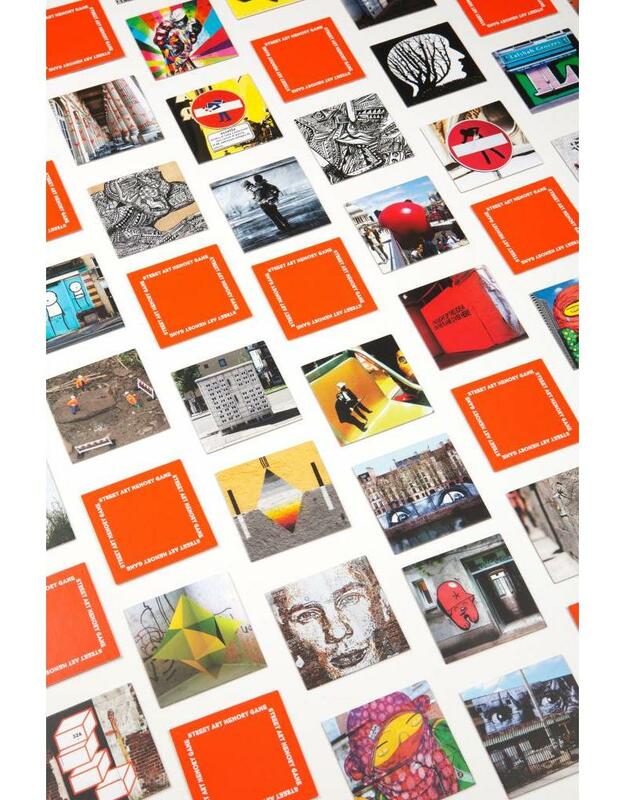 Featuring 30 of the most influental street artists of our time! 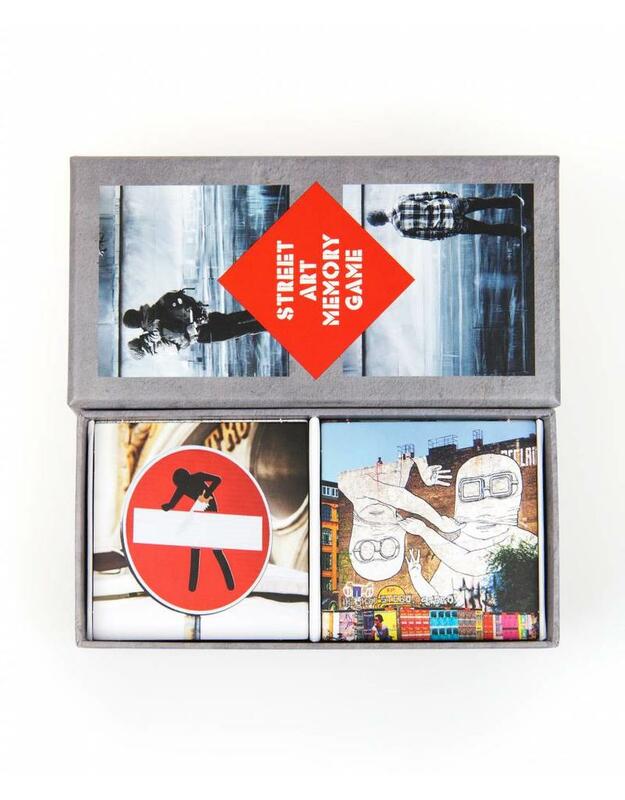 This new title in the series of memory games celebrates the popular field of international street art, with works by the most famous street artists. 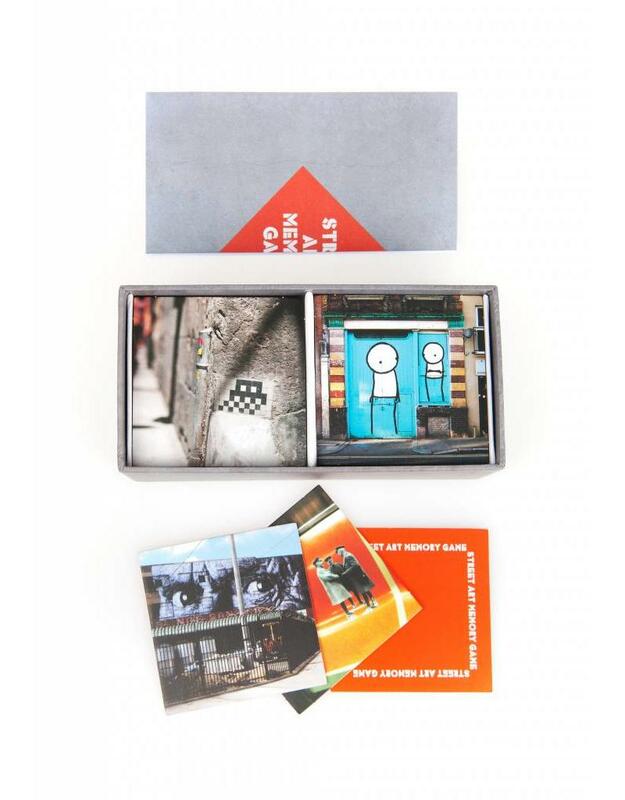 Your task, as ever, is to find the matching cards. In this game you have to match two works by the same street artist. This may sound tricky, but the choice of works will be such that the player should be able to recognize the matching cards quite easily. 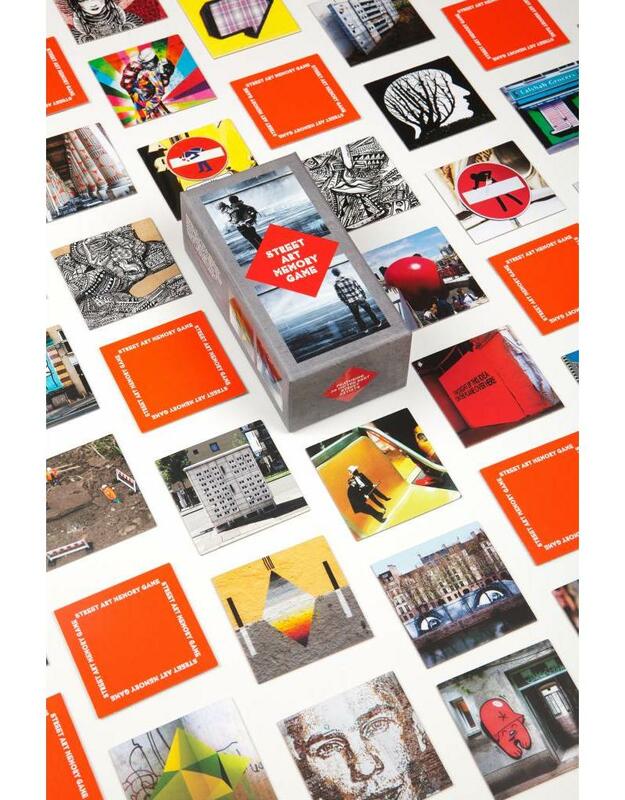 Great fun to play and you will gain more knowledge about the iconic and often visually very engaging works of modern street artists like Banksy, Invader, David De La Mano, ROA, e1000ink, Evol, JR, Mobstr, MTO, Shepard Fairey, Stik, Varini and Vhils.